…. An Evening with Gilbert & Sullivan featuring Trial By Jury! 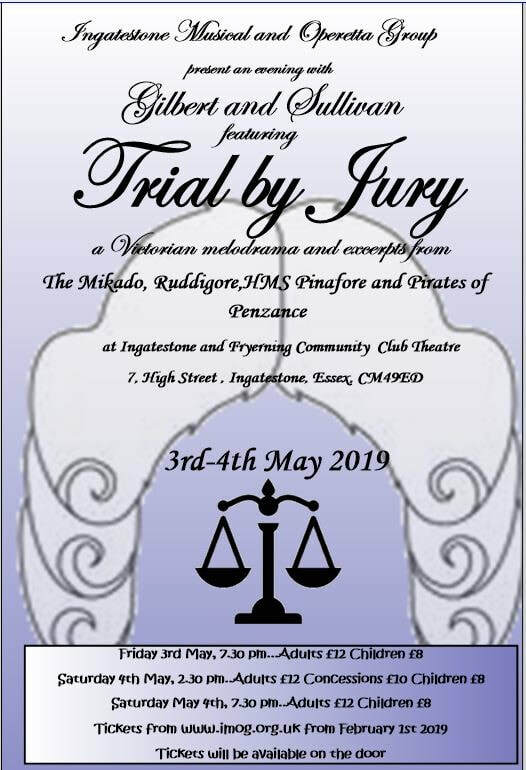 The first half of the performance will feature Gilbert and Sullivan's timeless Victorian courtroom melodrama Trial by Jury, with all its delightfully ludicrous twists and turns! Later, you will be treated to a carefully curated new collection of music from some of the duo's best-loved operettas, including The Mikado, Ruddigore and Pirates of Penzance, to name a few.